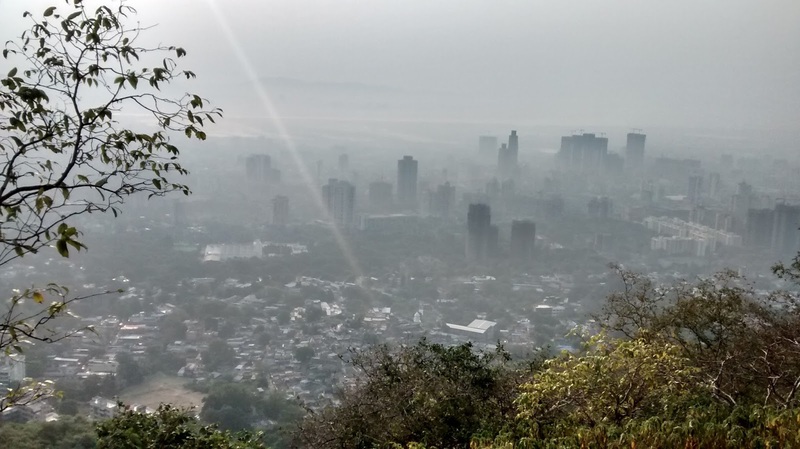 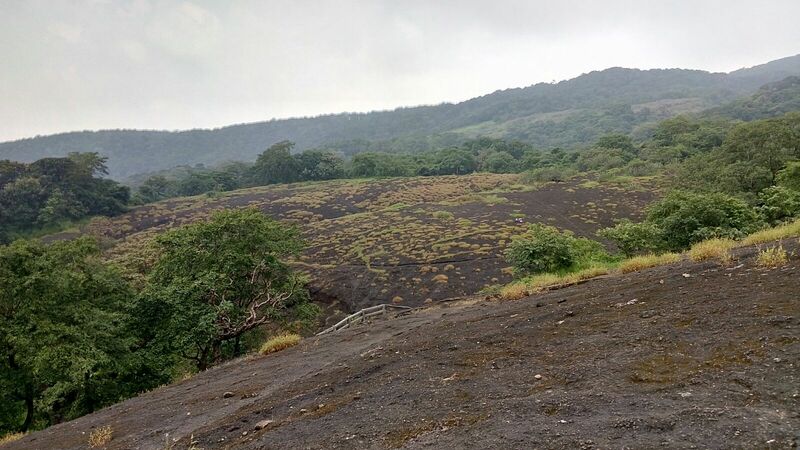 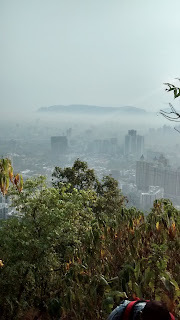 The Sanjay Gandhi National Park is truly an amazing one as it is located in the heart of Mumbai - of all the metropolitan cities, known for the over population and crazy traffic. 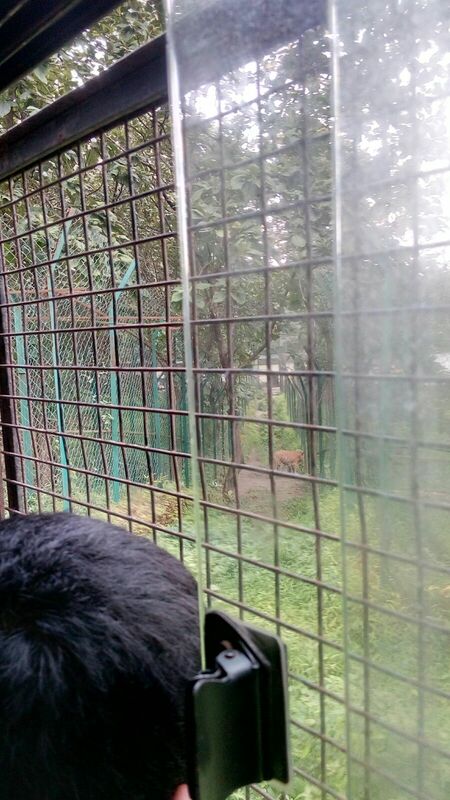 It is home to lions and tigers and you can even enjoy sighting them in wilderness, as they take you for a safari in a bus. 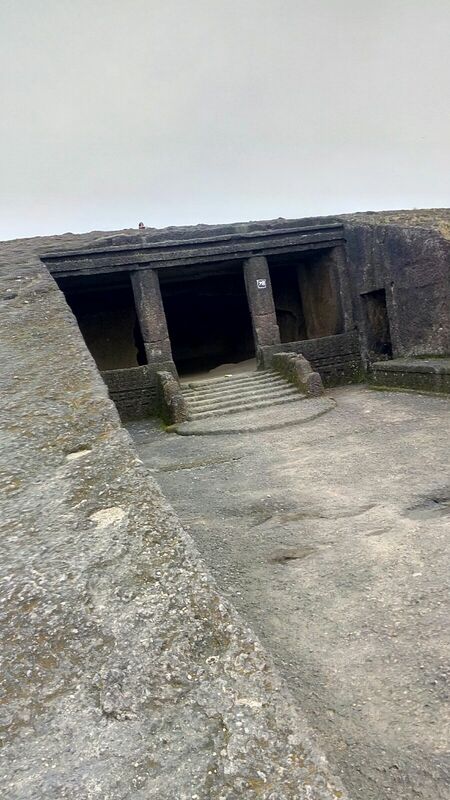 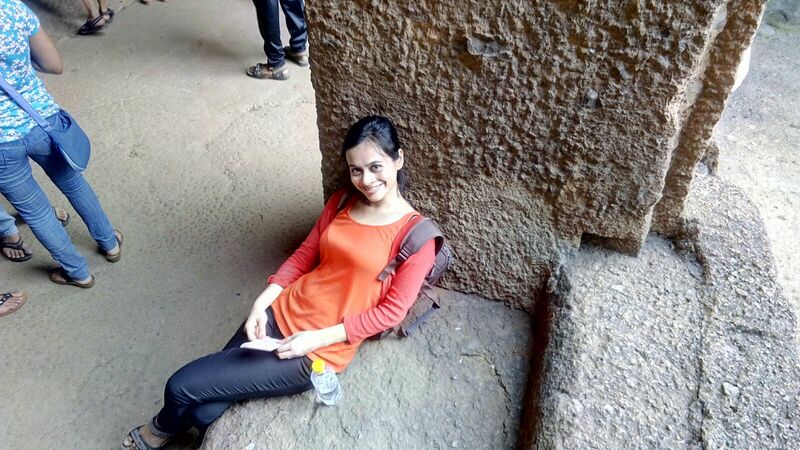 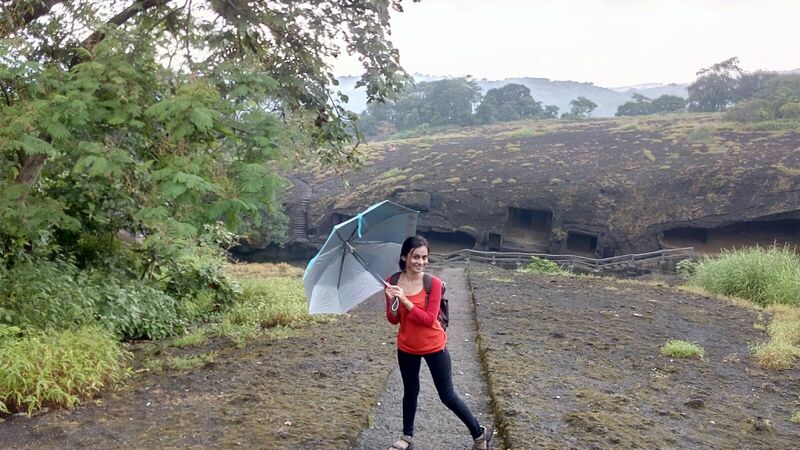 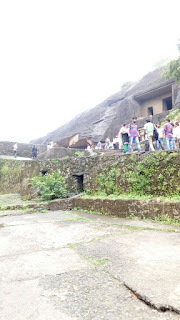 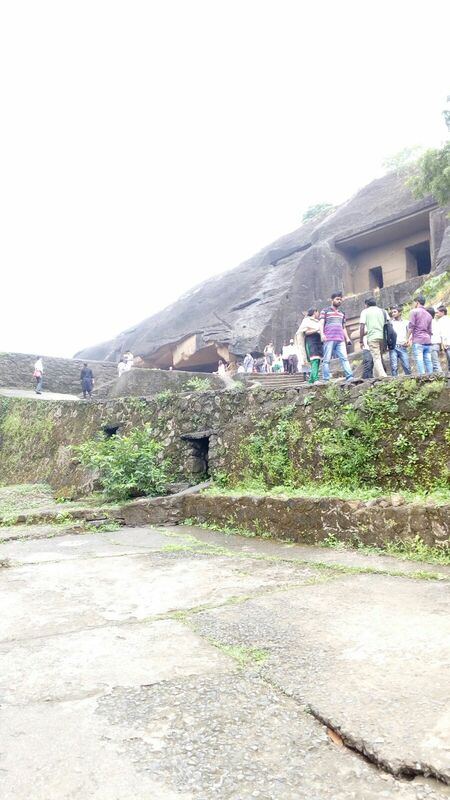 The Kanheri caves are a great attraction for tourists and locals, which are about 2400 years old. 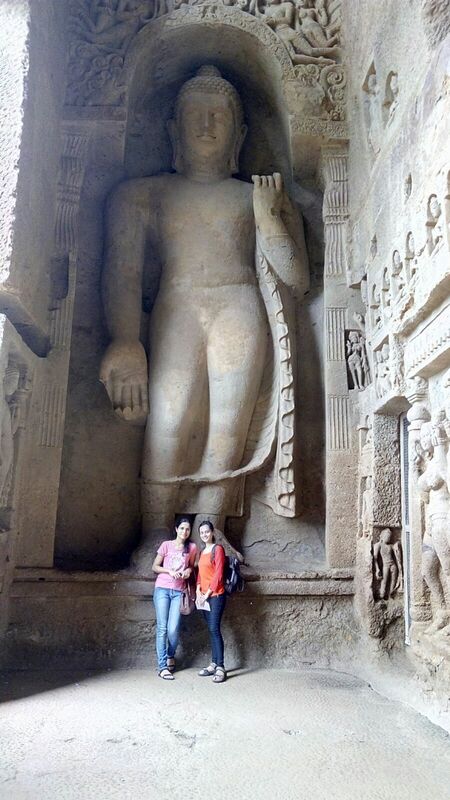 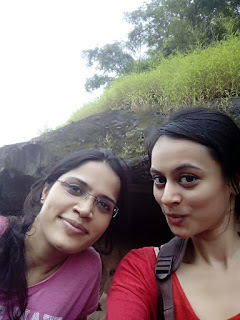 My roommate Rashmi and I went to visit this wonderful place last monsoon. 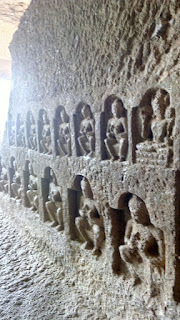 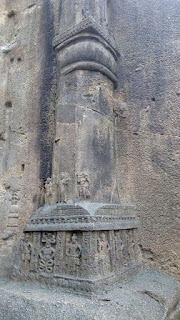 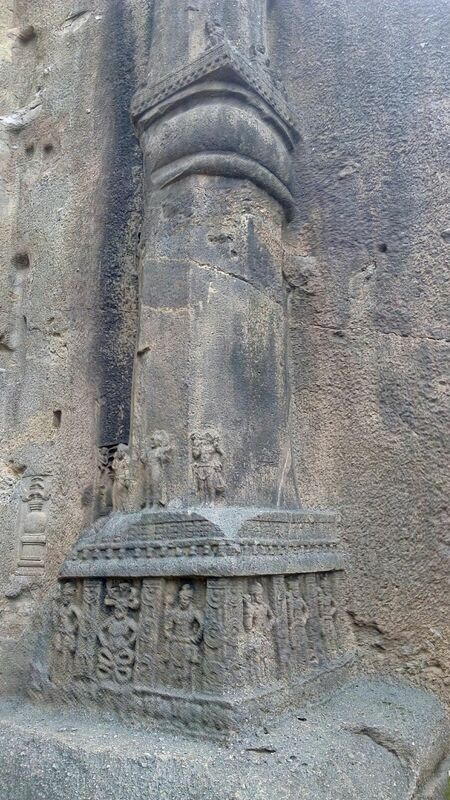 The Kanheri Caves were an important Buddhist learning centre sculpted by Buddhist monks between 9th and the 1st centuries BCE. 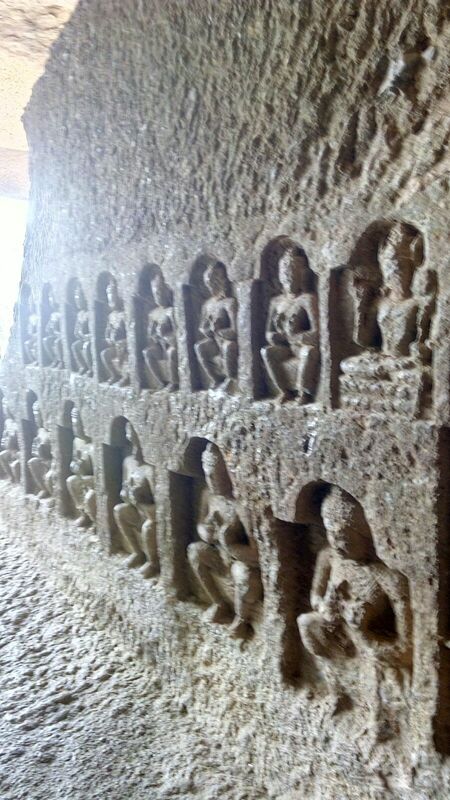 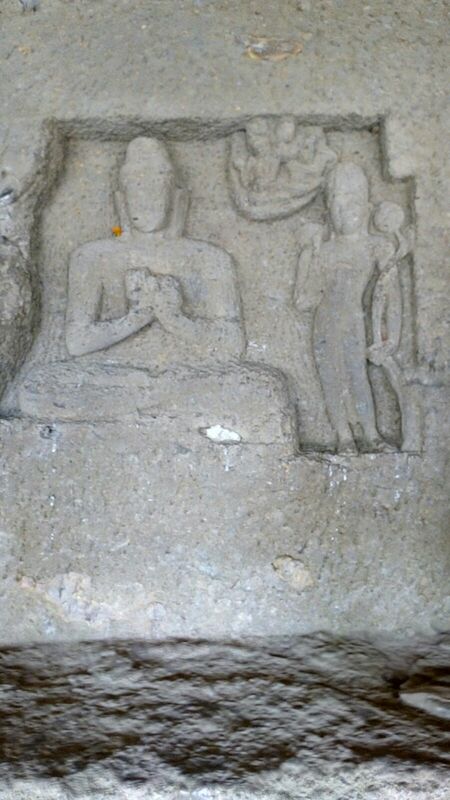 Chiselled out of a massive basaltic rock, these portray Buddha in various poses. 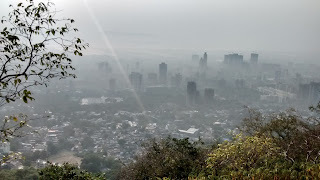 It is wonderful to spot beautiful sculptures amidst greenery and rightly so, the park is called lungs of Mumbai, as it purifies the pollution. 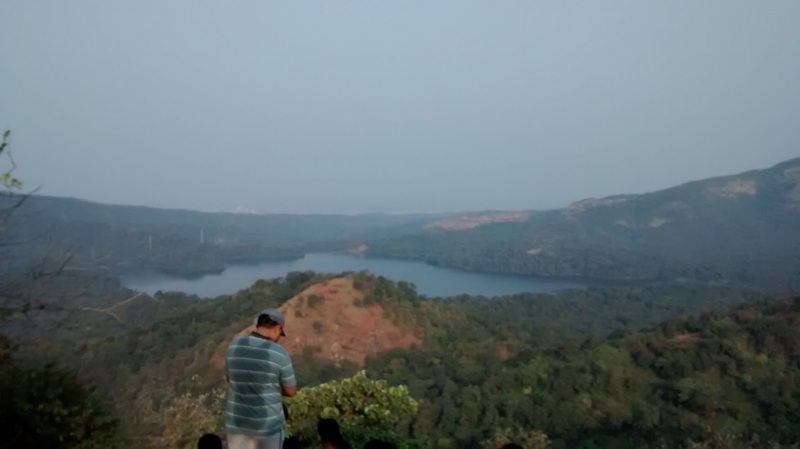 It also has the Vihar Lake and the Tulsi Lake. 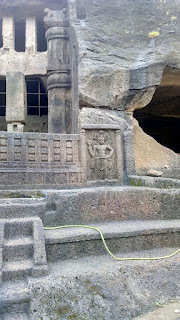 There was a bus to take us up to the Caves and around the park. 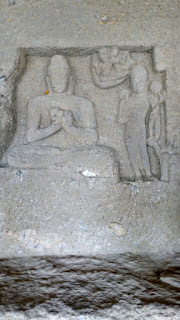 When we reached the uppermost cave, we saw some people praying, and joined them, which was a very spiritual experience. 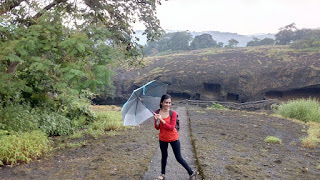 We reached on the top of the caves and saw a truly mesmerizing sight as it started raining. 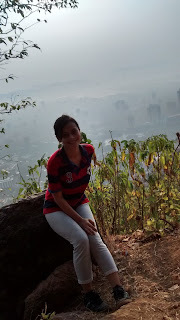 We could see Borivali hills. It is surprising that a city so hustling bustling can have a corner like this. 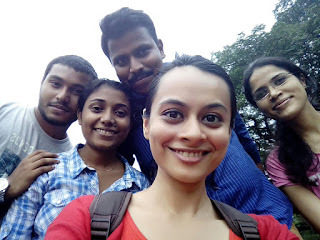 We met a small group at the Sanjay Gandhi National Park- Chathuri, her husband Abhilash and her brother Chandanu. 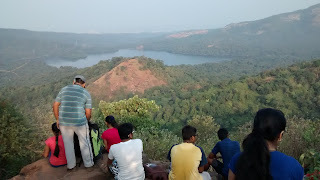 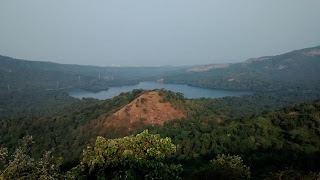 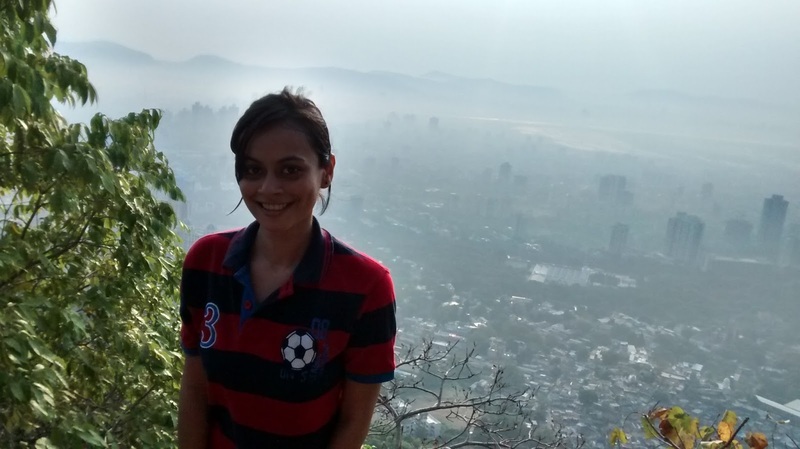 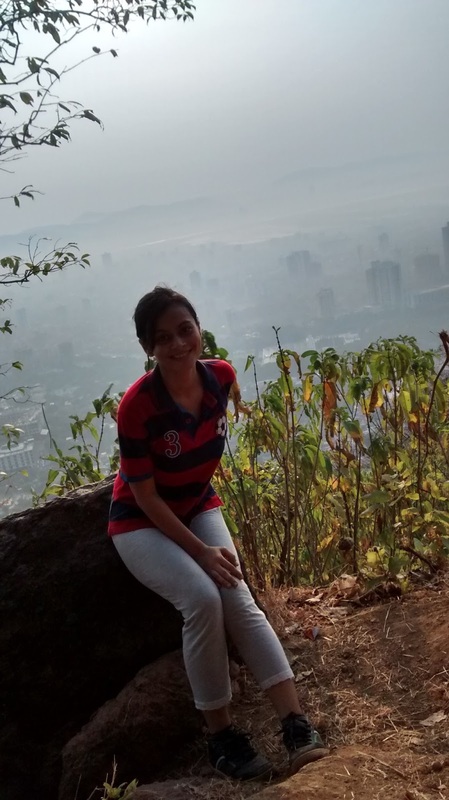 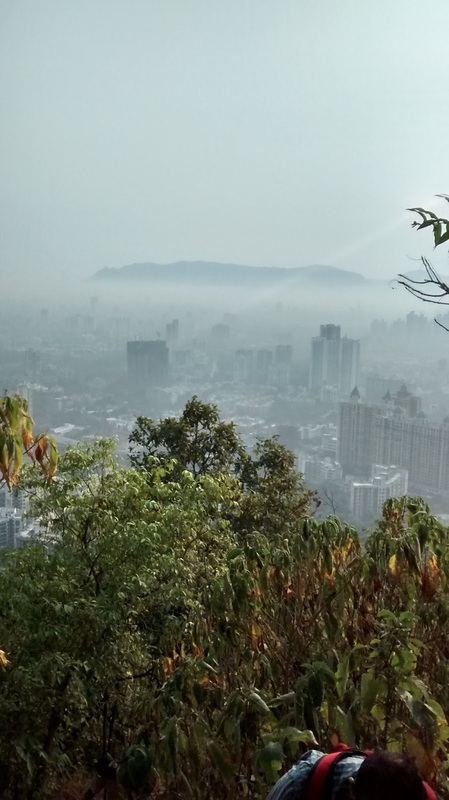 In 2014, I had trekked the Cypress hill in Mulund, which is again famous for the Tulsi Lake view from the top. It’s amazing as you can see Borivali from this hill in Mulund, which otherwise takes a long time to reach to. 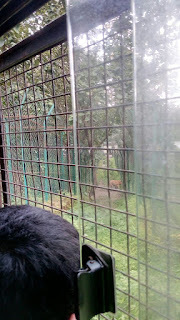 I had gone to stay at my cousin Dhairya’s place and he had taken me there along with his friends. 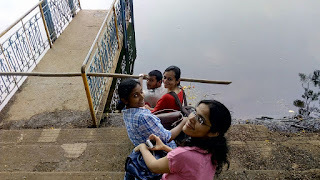 It was a fun trek. 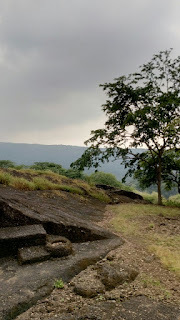 We had started early morning and I remember we were really hungry when we reached down and had gobbled up idlis and vada’s at a South Indian eatery.